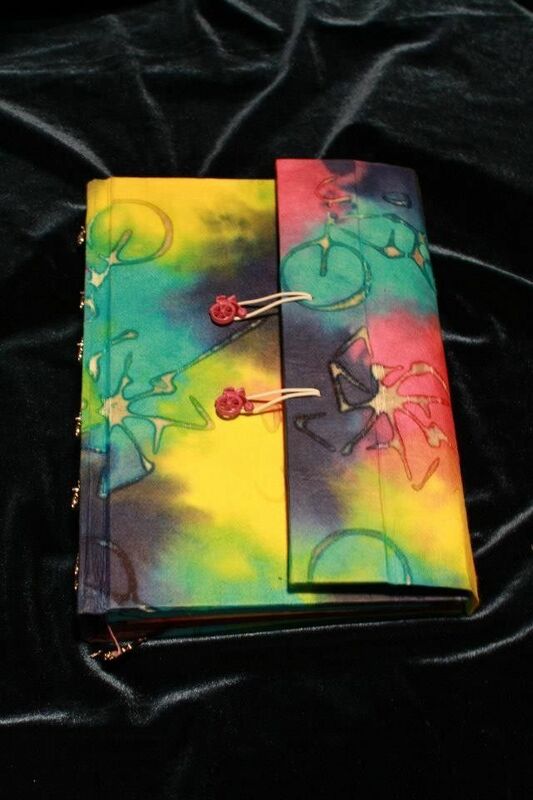 Custom journal for a bicycle lover! This journal has a bright fun cover with batik bicycle and pinwheel shapes. 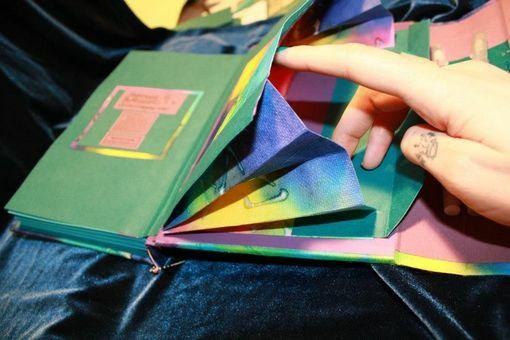 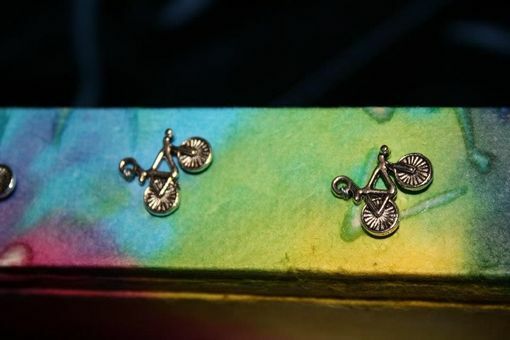 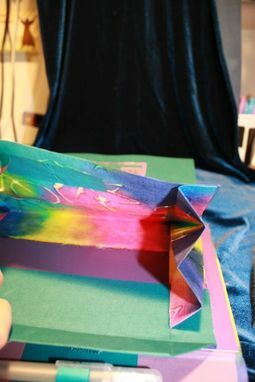 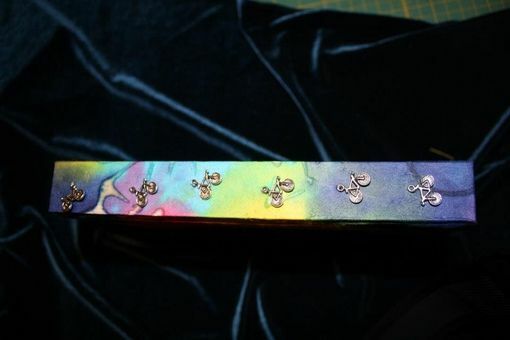 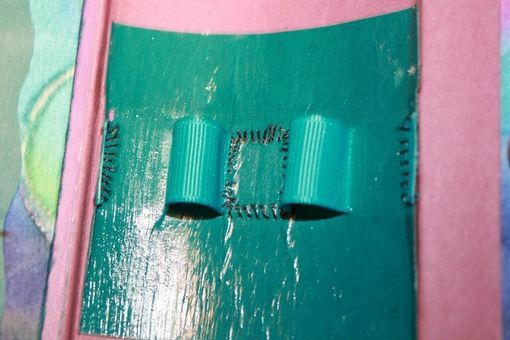 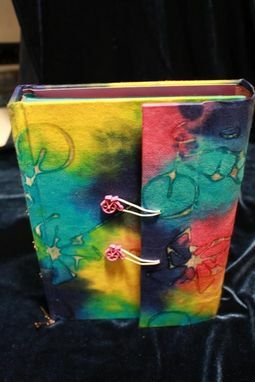 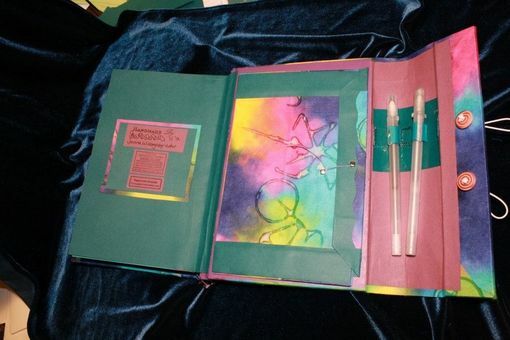 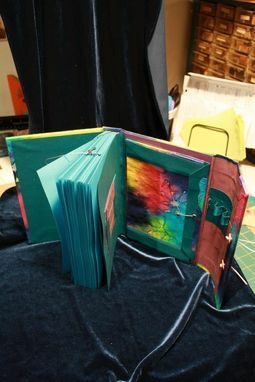 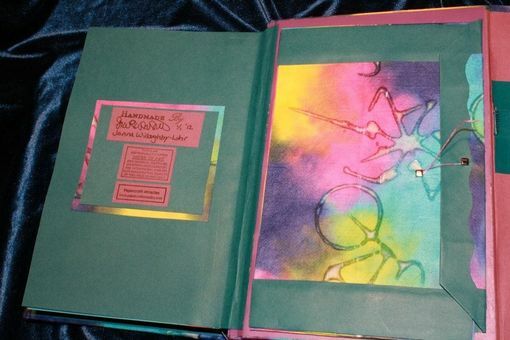 It has bicycle button closures, bicycle charms attached to the spine (that swing back and forth), as well as a hand-stitched dual pen holder and a hand-built accordion pocket with tie-clasp closure in the back of the book. 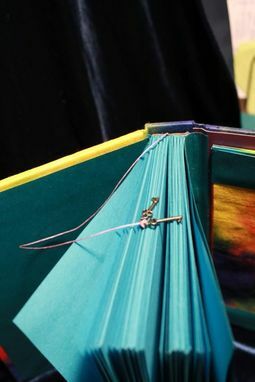 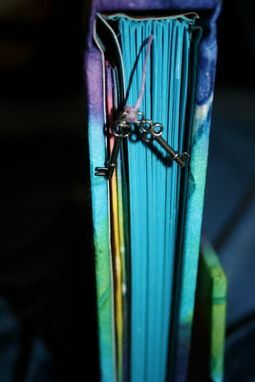 This book also has a lavender waxed linen thread bookmark with tiny key charms on the end.